When we first meet Nina it is quite obvious that while her life looks perfect, she is definitely not comfortable with it. She tries to make herself invisible. Her husband takes care of everything on the financial front and she spends her days shuttling her boys around and making sure her house is immaculate. 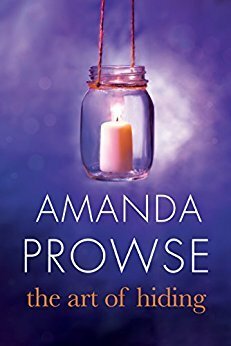 When her husband is killed in a car crash her world is wrenched apart and as the song says, You find out who your friends are! And in this posh little section of Bath, she could just have well died herself. There is no help from friends, there is no one coming to save her. She must start over and discover who she is without her husband. Amanda’s books are relatable. The struggles and the strength of her characters are real and very empowering. There was heartbreak, anger, and loss but there was also hope, love and faith. Great review and makes me want to read it.